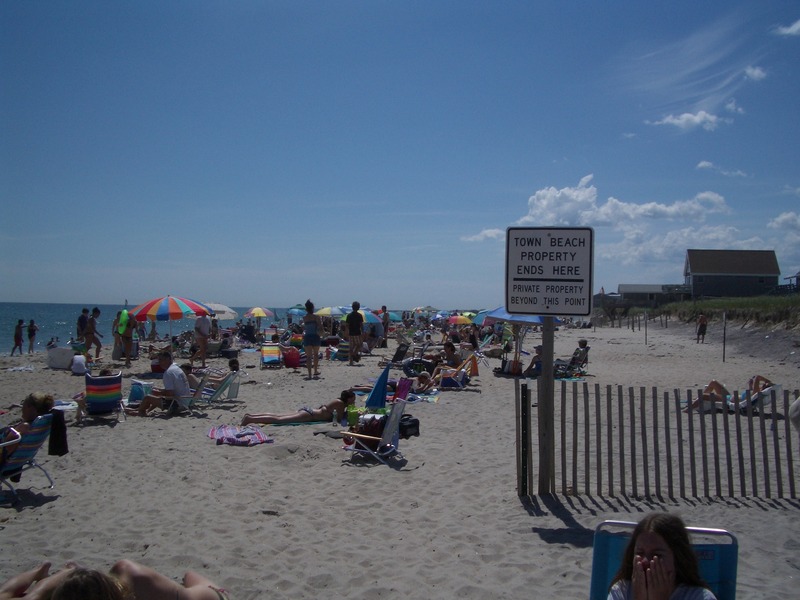 In discussing Rhode Island’s shore rights and privileges it is time to revisit the Ibbison ruling. If the topic isn’t familiar to you, here is a quick primer. 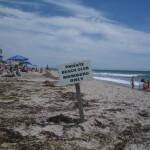 In the 1970’s four members of a fishermen’s group were cleaning up the beach in Westerly. They were arrested for criminal trespass at the behest of the man whose property they were cleaning up (free of charge!). They were convicted in a local court, and then in an appeal to the RI Supreme Court the case was dismissed. 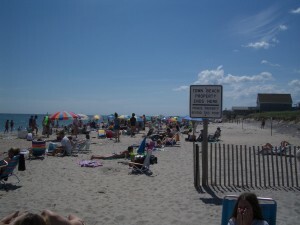 The devil being in the details, the method used and the approach taken in deciding the appeal has had a disastrous effect on the citizens of Rhode Island with respect to the state’s constitutionally guaranteed rights and privileges of the shore. The reason this ruling deserves a second look is that it has changed the fundamental principles that were incorporated into the Rhode Island Constitution about our shore rights and privileges. The Rhode Island Constitution gave us citizens, Freeman as we were called in colonial days, the right to do things along the shore. Not unlike the federal Constitution insuring us the right to pursue life, liberty and happiness. Going back to Roman days, and still in early colonial days, it was recognized that access to the sea was crucial for a society living on the seacoast. Their welfare, their livelihood, in fact much of their existence was linked to the ability to use the dry land along the edge of the water to build the better life to which they aspired. It was not an ownership issue. No matter who owned the land, it was the citizens’ right to use a narrow swath of that land along the coast to complete their lives. Well, things change. One thing that is changed is that in times gone by no one built right on the coast. It is a transitory environment, an environment in which change is part of the process going on continually, and only a fool would make a substantial investment in a place like that. Now, with the availability of federal flood insurance, very substantial houses are being built almost at the water’s edge. The advent of federal flood insurance reimbursing people for losses in that unstable and uninsurable (by rational standards) environment has helped create the accelerating disappearance of our inherited rights. Also driving that acceleration is the reality of sea level rise. Sea level has been rising since the end of the last glacial era about ten thousand years ago, but it had slowed significantly until the coming of the industrial age. 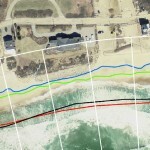 Now sea level rise is again accelerating, and is expected to increase its acceleration in the near future, bringing profound changes to our coastline. Now let‘s take a look at the famous, if not infamous, Ibbison case. The misunderstanding and misinterpretation of this case has been a major confusing and misguiding factor in the discussion of our shore access rights. Let’s look at the major, and crucial, flaw of a misguided entering assumption. The problem, and the error, is that in the Ibbison case Justice Shea assumed that the issue of property ownership was the sole arbiter of where our constitutional shore privileges were located. 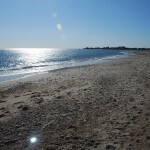 While it is absolutely true that the state of Rhode Island owns all of the land underneath the salt water that borders its coasts, our Constitution gives us the right to do certain activities at the shore, and the location for those activities is not constitutionally linked to ownership. 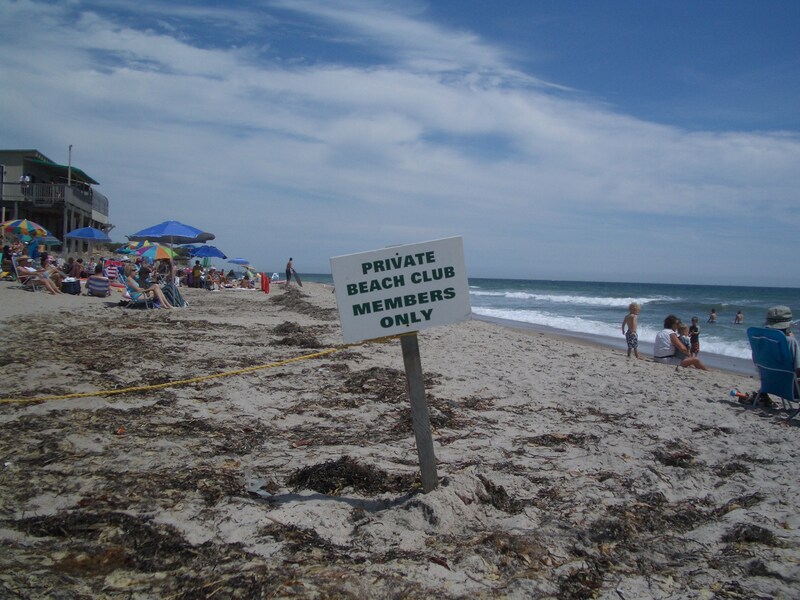 In fact the Rhode Island Constitution specifically states that Rhode Islanders exercising their shore privileges shall not be deemed a “taking” from private property owners. There would be no need for this clause in the Constitution if we citizens only enjoyed our rights on the land unequivocally owned by the state. 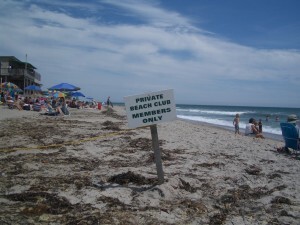 Because the constitution does include that clause, the constitution establishes the foundational concept that our shore privileges include the right to exercise those privileges on privately owned property, and that doing so does not violate any property laws…it is instead a sharing of the edge of the land by all citizens. The next step in this discussion will focus on the court’s use and misuse of the word “shore” in its argument. Stay tuned in for parts 2 and3 in the next few weeks . If an activist wanted to correct this misconception and bring things back in balance what would be the best way to proceed? RISAC reply: In the effort to undo the harm the Ibbison case has introduced to the shore access issue RISAC is supporting the concept of “high tide plus ten.” When a shore walker comes to these types of signs, the constitution says they can proceed as long as they stay within ten feet of the high tide line…that is ten feet ABOVE the high tide line… to exercise their right to walk the shore, gather seaweed, fish or clam, or swim. Those signs are not supposed to face down the beach, but they can put up a sign facing the water to mark off the private land that is more than ten feet above the high tide line which is not available to the public for our shore privileges. Read the three piece article in the “News” category of posts to get up to date on the Ibbison controversy.